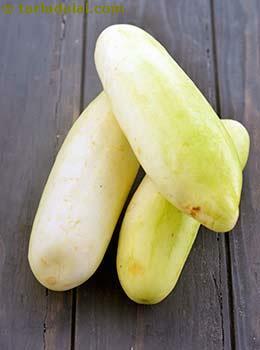 Also known as kakdi, cucumber is a widely cultivated plan in the gourd family. It is roughly cylindrical, elongated, with tapered ends, and may be as large as 60 cm long and 10 cm in diameter and mainly eaten in the unripe green form. The glycemic index of cucumber is 15 which falls under low glycemic index category. Is Cucumber safe for Diabetics? It is recommendable for diabetics to have 3 to 5 servings of vegetables in a day which is high in fiber. While cucumber is not meant to cure your diabetes, but it will definitely manage your blood sugar levels. Cucumber is absolutely safe for diabetes because of its low glycemic index (15) and glycemic load (1). Carbohydrates have the major impact on your blood sugar levels, so the type and quantity of the food selected is crucial. Since cucumber is very low in carbohydrates (5.8) and high in fiber (6.03 grams of fiber in 1 cup of chopped cucumber) it can easily fit into a diabetic menu. Fiber plays an important role because it gives you a sense of fullness, controls your appetite and thus manage your blood sugar levels. You can easily have a bowl of cucumber as a salad, or inculcate cucumber into your raita. Is Cucumber suitable for Weight Loss? Vegetables such as cucumber aren’t just beneficial for your overall health but it is also an additional add on to your weight loss regime. When you are on a weight loss diet, including cucumber will help you lower your calorie intake as it is very low in calories (30 calories for 1 cup of chopped cucumber) and can be included in your diet guilt free. Fiber in 1 cup of chopped cucumber is around 6.03 which will help in slow release of the energy and thus improves your appetite. Also cucumber contributes to more than 80% of water by weight which suggests that while eating cucumber you are actually consuming water, good amount of fiber and some other nutrients as well with slow release of energy. Make cucumber salad combined with other vegetables. Also try out raita made out of cucumber which will also give you some amount of protein.